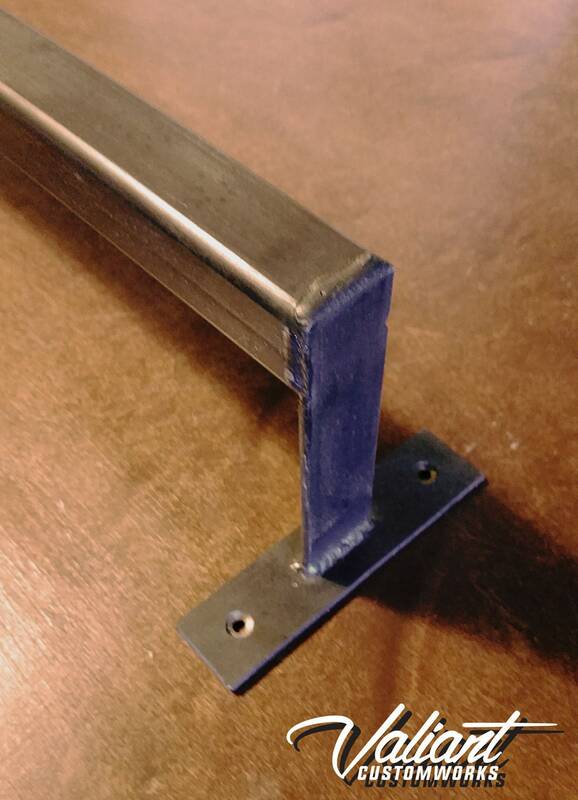 Handmade, fully TIG welded steel towel bar is constructed from thick-walled 1" structural tubing and 1" flatbar - mounting holes pre-drilled. Left as raw steel, these are protected with an automotive grade clear-coat. Give your bathroom a unique industrial vibe! Sorry about the crappy photos, I'm working on getting some new ones up asap.